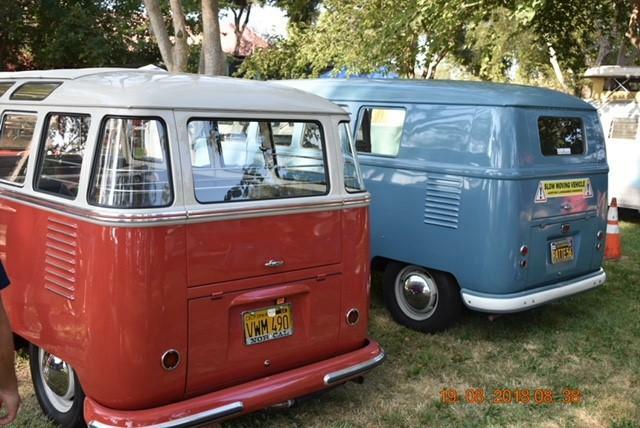 1952, 1953, 1954, 1955 Deluxes, and 1953 Microbus and 1954 Single Cab. Thank you Lloyd/Ron/Rich, Eric, Todd, Jeremy and Todd for sharing these with the Bus Fest crowd. 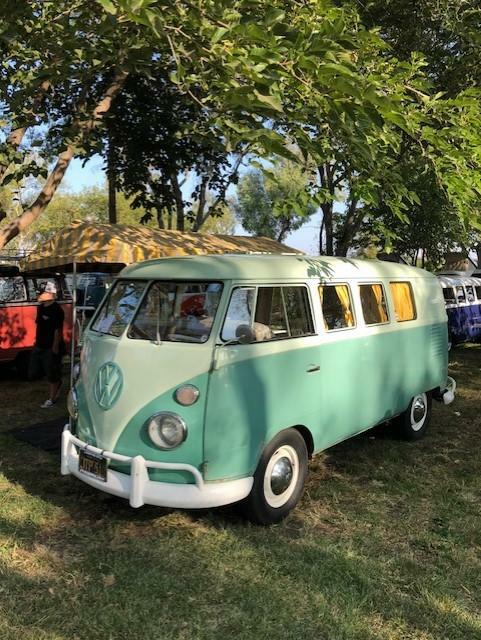 Larry's 1962 Hatchtop Westfalia was the bus featured on the Bus Fest 14 t-shirts. Thank you Larry! 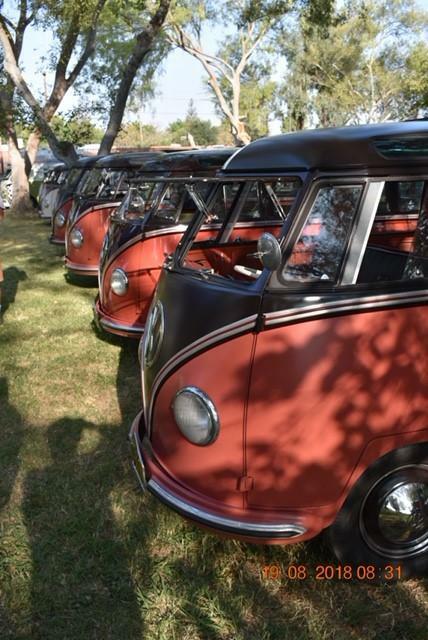 Tony brought out the family in style in his famous Deluxe and his Kombi. Thank you for sharing! 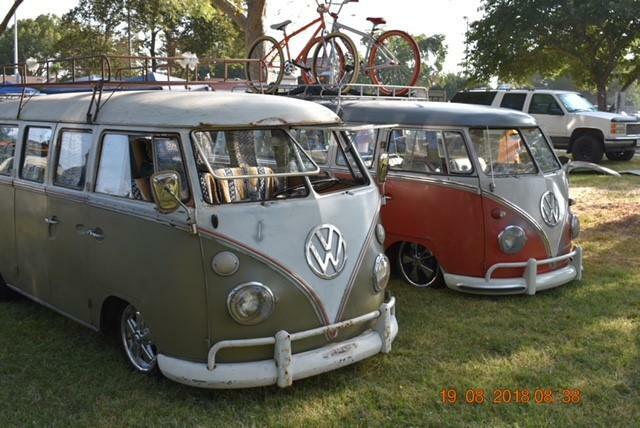 Bryan raised up his red and white 15 Window "Supalowbus" for the trip to Bus Fest. Still looks very low to us, thank you for =making the trip Bryan!